The ProLung Test uses precision proprietary volume-averaging bioconductance technology to measure the difference in conductivity between malignant and benign lung tissue. The data is analyzed to produce a personalized and predictive score indicating the likelihood that a particular lesion in the lungs is malignant. There is a severe unmet clinical need to reduce the time required to determine malignancy in patients diagnosed with Indeterminate Pulmonary Nodules (IPNs). Patients with IPNs may wait months, or even years, receiving multiple CT scans to identify malignancy in the lungs, when present.1 This wait often proves fatal. Quantities available in multiples of ten kits (one box). 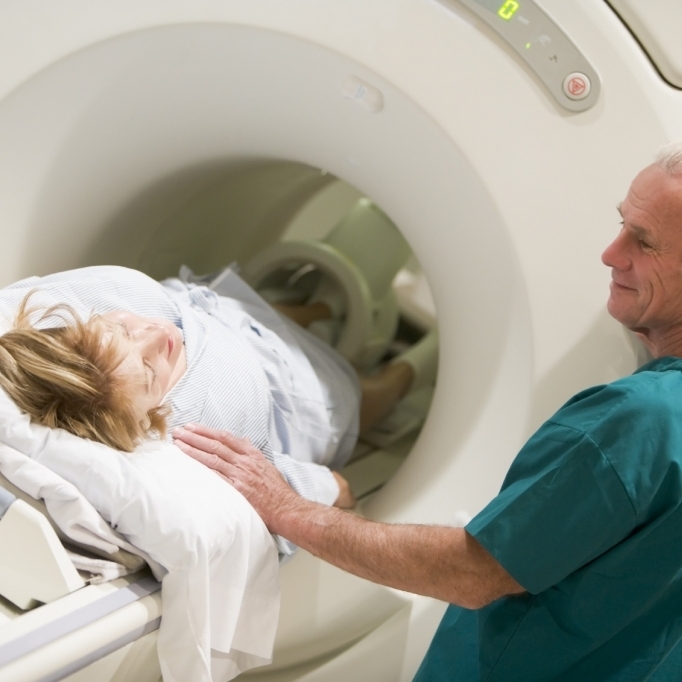 The nodule is monitored for growth using repeated CT scans every three to six months for 3½ years. This exposes the patient to radiation and carries a high potential for false positive results, which may subsequently lead to unnecessary biopsies and procedures. The nodule may also be monitired using Positron-Emission Tomography (PET) scans over a similar period of 3 years. This method has numerous limitations, however, depending on the size, inflammation levels, and metabolic activity of the tumor. After sufficient risk is finally confirmed from repeat CT or PET scans, a biopsy is performed and a tissue diagnosis is made. The ProLung Device is a computer‐controlled, non-invasive, electrical bioconductance measurement system comprised of an instrument body, a data acquisition probe, and a reference electrode which delivers low level electrical current at specified bilateral anatomic locations on the human body. The integrated computer system provides a screen display of real‐time measurements during operation, regulates probe performance, collects and analyzes data. The ProLung Device is indicated for use in patients who have undergone computed tomography (CT) in which a pulmonary lesion of indeterminate significance has been detected. The ProLung Test™ is indicated for use as an aid in the risk stratification of such patients for the occurrence of lung cancer. Patients with elevated ProLung Test Scores are at an increased risk of developing lung cancer.